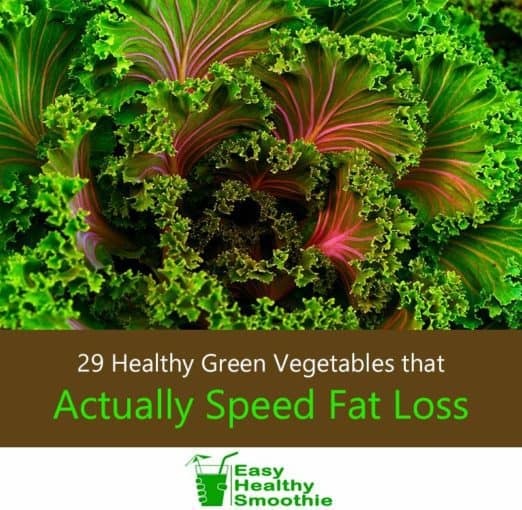 The Best 29 Healthy Green Vegetables that Actually Speed Fat Loss! Losing weight and keeping it off isn't the easiest of goals, to say the least. If we try to "diet" we might find ourselves eating so little that it leaves our bodies permanently hungry and low on energy. Then we are either unproductive at work, irritable with people, or we binge whenever we see food. Soon enough, we start putting on weight again. Turns out there's something you can eat in large quantities that will make you feel full, give you energy, keep you emotionally stable and, best of all, help you to lose weight. True, not everyone is a huge fan of eating vegetables, especially not in large quantities. But consuming them as smoothies is a whole different ball game. Welcome to a delicious, easy and fun way to shed those unneeded pounds. ​The benefits of green vegetables include their low sugar and calorie count, and their large supply of fiber, proteins, and numerous specific minerals and vitamins that scientific studies have proved can aid with fat loss. 13. Purslane for the Most Nutritious Weight Loss "Weed"
Watercress is graded a solid 100% on the nutrition scale – that’s what a large team of academic researchers together with the US Department of Agriculture have stated. It has more calcium than milk, more vitamin C than oranges, more protein than most animal products, and contains all of the top 17 essential nutrients. 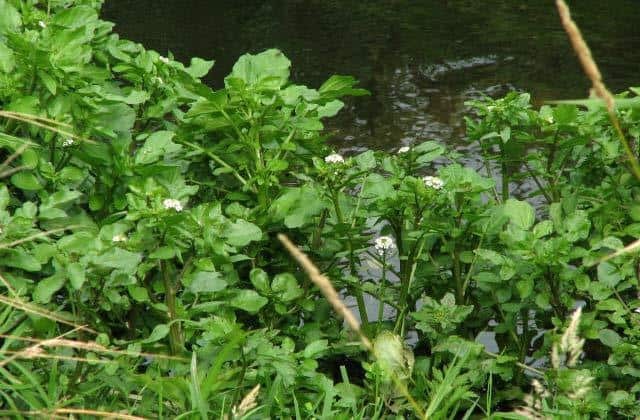 Watercress also contains alpha-lipoic acid. This is an antioxidant that researchers think can fight off diabetes, which is closely connected with overweight issues. New England and New Hampshire provide us with that all-too-rare marvel, a genuinely sweet green vegetable. Not only does it taste great when blended with bitter green vegetables like dandelion and arugula, but it also contains half of your recommended daily intake of vitamin C. Some studies have shown that people who consume enough vitamin C burn 30% more fat during an exercise session than people who eat too little of it. ​You have a hormone called cortisol that is usually a good thing, but when there's too much of it, cortisol makes your body store a lot of fat. Green beans are fiber treasure troves. It’s true that leafy greens are also famous for being rich in fibers, however they still contain below half of the amount of fiber you'll find in green beans! ​The slower your food digests, the longer there is food in your stomach, and the longer you feel full. In addition, slow digestion means that your body releases energy gradually and constantly, which means that your body won’t beg you to eat every hour to keep its energy levels up. Fiber also keeps your bowel movements regular, cleaning out fat from your intestines that would otherwise be absorbed and stored in the body. You know that a weight loss program requires some exercise, but when you look at the meter on the treadmill or stationary bicycle, you can never run or cycle fast enough to burn lots of calories. Sounds familiar? It can provide you with high amounts of dietary nitrates. Many studies have shown that nitrates can speed up muscle contractions and improve athletic perfor﻿﻿m﻿﻿an﻿ce. As such, it can help you exercise faster to accelerate your weight loss program. ​It has a mild taste and can be used with stronger-tasting tangy or sour vegetables and fruits like mache, sorrel, onions, and anything citrus. 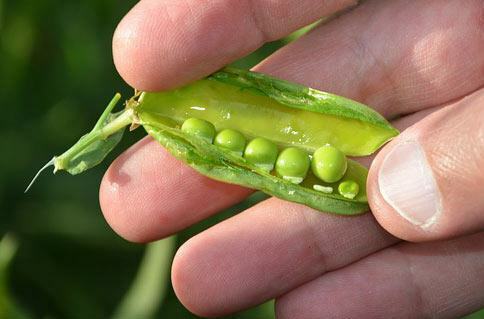 At approximately 0.3oz (8.6g) per cup, peas contain more protein than steak and eggs. ​Protein triggers the release of the fat burning hormone called glucagon, which scientists have demonstrated leads to fat l﻿﻿os﻿﻿s, even in diabetics. If you want your body to burn fat for energy quicker, or in other words to speed up your metabolism, protein-rich foods are the perfect solution. Your body works much harder and requires much more energy to break down the proteins than it does to process fats and carbs. This hard word is the fat burning we’re after. In addition, protein also helps you to build muscles, whose maintenance also requires energy and, thus, fat to be burned. ​Protein makes you fee﻿﻿l ful﻿﻿l for long after you eat it. Several studies have found that people who eat plenty of protein lose w﻿eight﻿﻿﻿﻿ faster than those who do not. In smoothies, peas lend a great thickness and creaminess to the smoothie when cooked first. They work well with watery vegetables like lettuce and spinach. In a recent study, Swedish researchers gave women spinach extract to eat in the mornings, and they lost 30 percent more weight than their peers! They said that they did not feel hungry or tempted by the mouthwatering foods that they usually ate. This is quite possibly a result of the amino acid called Arginine that is found in spinach. Arginine plays an important role in fat loss. 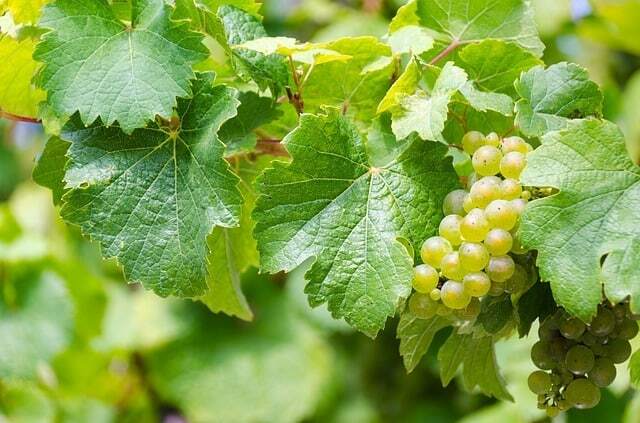 Given its mild taste, it works beautifully with any vegetables and fruits. Apparently David Beckham loves his spinach because it is rich in fiber. It tastes awesome when paired with kale! 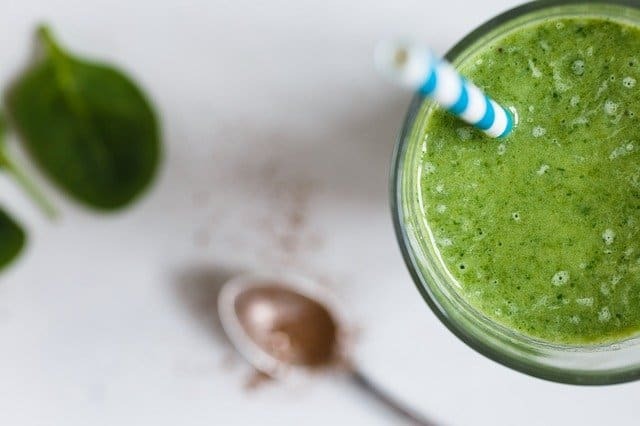 Here's our favorite spinach + kale smoothie recipe. While you may think of Stevia as the powder or drops you buy in the shops, it is a plant with green leaves you can cultivate in your backyard. The leaves are sweeter than sugar and is the perfect solution to sweeten a smoothie without adding calories. A recent study demonstrated that people who used Stevia ate 300 calories less per day than those who ate sugar while feeling equally full. Add half a leaf to any smoothie you think needs sugar, especially to the bitter ones. It will neutralize the bitterness, much as sugar neutralizes the bitterness of coffee. Cholesterol is basically just a form of fat. If you eat a lot of fat, it ends up in your blood vessels, that can become hopelessly blocked by it. Looking at it from the other direction, the more fat there is in your blood vessels, the more likely it is that it will eventually be stored in fat cells around your hips or stomach. Oops! This means that you must bring the amount of cholesterol and fat in your bloodstream down. Dandelion leaves have been proven to do this. There is another contribution dandelion can make. If your body unnecessarily stores water, giving your face a puffy appearance, dandelion is a diuretic and can make you lose this weight by helping your body dump the excess water. Dandelion is rather bitter, so blend it with sweet vegetables and fruits like fiddleheads, apples, pears and Stevia. Jalapenos contain only four calories per pepper and their burning flavor comes from an ingredient called capsaicin. Capsaicin is a serious fat burner and two or three peppers are enough to consume the 1-2 mg daily needed for the benefits touted by the research. It increases your body's temperature and thereby speeds up the rate at which your body burns fa﻿t. In addition, studies concluded that people who regularily eat Jalapenos seemed to eat less, suggesting that it suppresses appetite. If you're up for a spicy smoothie, a Jalapenos pepper will do a good job of neutralizing bitter leaves like watercress and dandelion. Avocados are commonly mistaken for being a vegetable, although they are biologically fruits. In fact, their name meaning "egg-like fruit". Because of their superb weight loss benefits, I couldn't resist adding them to this list. Anyway, if you still haven't complained about my categorization of peppers as vegetables, I'll stretch my luck a bit further. The perfect smoothie ingredient, avocados are too creamy and healthy to omit from a green smoothie list. Everyone says olives are healthy, right? This is because of all the monounsaturated fat they contain. Well, it turns out that avocados contain almost as much. What does monounsaturated fat do? It has the same benefits as the much hyped low carb diet (like the Atkins diet). When researchers compared diabetics on a low-carb diet with those on a monounsaturated fat diet, both groups lost the same amount of weight and kept it off for at least a year, while the latter group happily continued to eat their carbs. Avocado also helps with cholesterol. 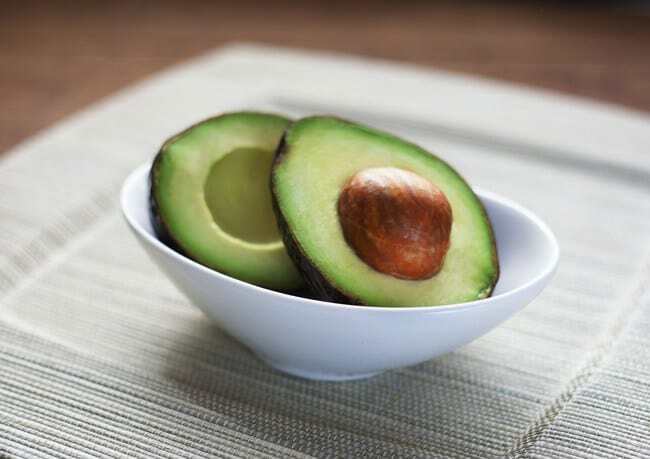 In the 1990s already, a study found an avocado rich diet to lower overall cholesterol by 17 percent, as well as bad cholesterol and fats in the blood stream by 22 percent. Lastly, it can fill your stomach and make you feel full. Researchers discovered that half an avocado for lunch increased eaters' satisfaction and decreased their desire to continue eating. Blend it into a smoothie with absolutely anything that needs thickness and creaminess. 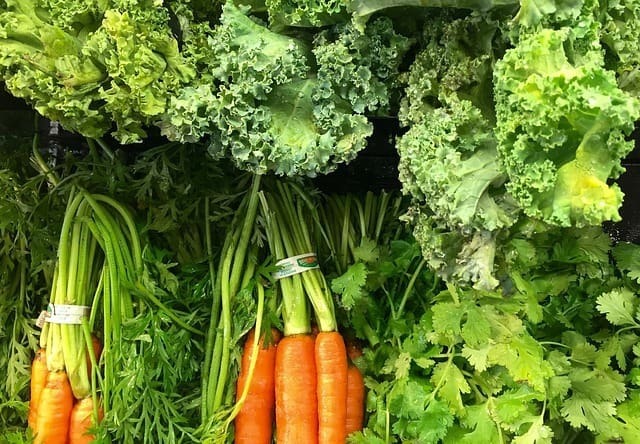 Do you want more vegetables to lower your cholesterol? I am happy to oblige. 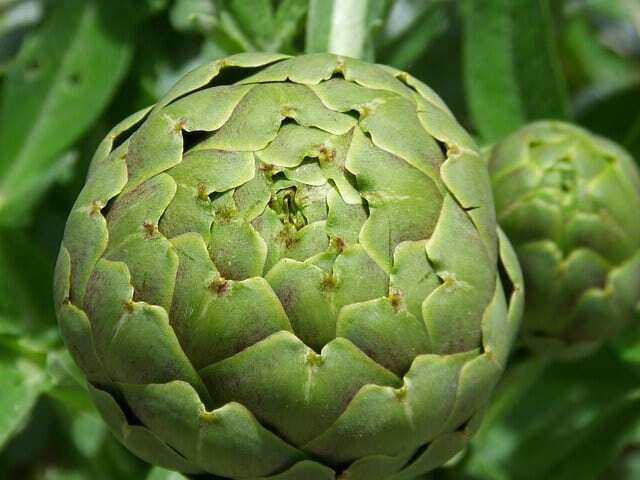 Artichoke lowers fat and c﻿﻿holesterol levels in your bloodstream, to keep your arteries safe, but it also means there is less fat circulating in your blood that can later be stored in fat cells. Blend Artichoke with mild green vegetables like spinach and beet greens and mild fruits like apples to prevent it from being overwhelmed. 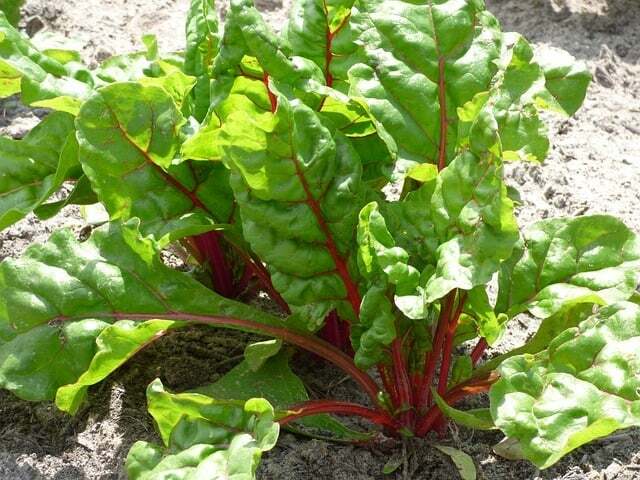 Beet greens are magnesium-rich, and magnesium boosts your ability to exercise. A study concluded that people with low levels of magnesium were much more likely to develop diabetes than those with an appropriate intake. Remember that your body cannot burn fat properly if you have diabetes. The very best fact about magnesium, however, is that it helps your body release fat from fat cells where it has already been stored. Scientists call this process lipolysis. Beet greens are mild in flavor and blend well with equally mild fruits and vegetables. One cup of grated leaves will give you around 40 percent of your daily recommended magnesium intake. With the same amount of magnesium as beet greens and just a bit less potassium, purslane is another muscle booster to promote a healthy exercise program. With all these muscle boosters, you will never have an excuse to abandon your exercise program ever again. High blood sugar and diabetes are also more common in people with low levels of potassium than in people who eat enough of it. It grows easily almost anywhere, but sadly most people eradicate it as a weed. The leaves are neither bitter nor otherwise sharp-tasting, and because they are so watery, they work well with creamy ingredients like avocados and peas. The Mediterranean diet is famously called one of the healthiest diets in the world. This is because it contains so much omega-3 oil in the form of fish. Well, if you aren't into into taking fish to the office every day, grape leaf smoothies are ideal, as they are excellent sources of omega-3. People who consume omega-3 lose more weight and cholesterol than people who don’t eat or drink much of it. Because of their oily contents, grape leaves can add some taste to vegetables like zucchini that are otherwise quite bland. Actress Gwyneth Paltrow and chef Jamie Oliver love it, and it was known as the world's best superfood for years. Health experts love it too, because it is able to stop the fat you eat from being absorbed by your intestines. Do you feel like an easy biology lesson? When you eat fat, the bile acids in your intestines absorb it and distribute it around your body. This is precisely what you don’t want if you're on a quest to lose weight. You want it excreted, not absorbed. Kale can help, because it Binds to the bile acids in your intestines. When the bile acids then catch the fat you eat, all the fiber in the kale grabs this fatty mess and drags it straight downwards where it becomes part of your next bowel movement. This is the same mechanism used by cholesterol drugs. Kale also contains plenty of water, and researchers have often found that such plants are good weight loss agents while simultaneously preventing you from getting hungry. Remember how big muscles require your body to burn a lot of fat just to maintain them even while you are asleep? A pumpkin leaf is one of the best vegetable carriers of leucine around. The more of it you consume, the bigger your muscles can grow, and the bigger your muscles, the faster your body must burn fat to maintain them. After scraping off the thorny fibrous bits, you can toss them in a smoothie like you do with any other leaf. Their taste is mild and they mix well with everything. If you want to lose weight by helping your body dump the fat it has already stored, calcium is just the thing. According to scientists' speculations, calcium that appears in your fat cells stimulates those cells to release their fat. An underactive thyroid has always been one of the commonly heard excuses for obesity, and scientists do believe that people with lazy thyroids put on weight. Remember that cholesterol can be stored as fat around your hips and stomach, so you must eat enough vegetables that can help you get rid of it. You may think of it as a beverage rather than a green vegetable, but with its green leaves, a vegetable is precisely what it is. The main ingredient in Green Tea, called EGCG, has the most research behind it of all the fat burners. Hugh Jackman may have been onto something when he told Men's Fitness that he liked steamed broccoli. Broccoli is one of the best food sources of chromium, and also rich in vitamin C and fiber with their benefits. What’s the point of chromium? Like broccoli, Brussels sprouts, and leeks, one cup of scallions can provide you with more than 100 percent of your daily sulfur intake. Endive contains a type of flavonoid that's responsible for two weight loss mechanisms. Firstly, if you are the kind of person whose energy crashes an hour or two after lunch, you are probably also the kind of person who grabs at a sugary snack to top up your energy. If you want to avoid these unhealthy snacks, simply ensure that your energy remains constant throughout the day. Endive can help you do this. 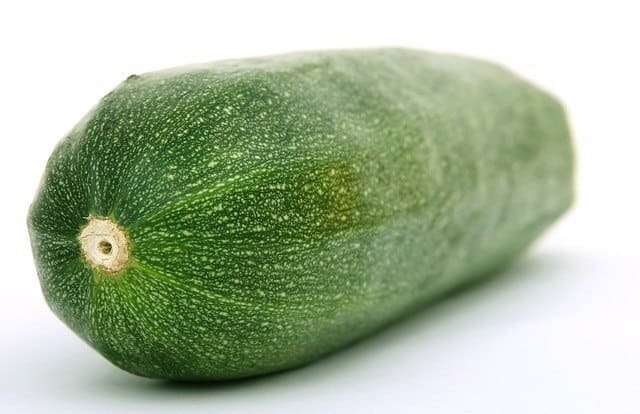 Beautifully subtle and sweet and inheriting the flavor of whatever it is mixed with, zucchini is also one of the best plant sources of zinc. Most of the tips in this article requires that your body can absorb vegetables to help with weight loss. But what if you don’t absorb enough of them to benefit from them? The duties of parsley are numerous. If you have just adopted your healthy lifestyle and you are worried about all the fat you ate in the past, you need parsley. Together with a big load of potassium, zinc, vitamins C, and fiber, all with their own weight loss benefits, it can also supply you with more than enough vitamin B2. Celery is the best plant-based source of another B vitamin called choline. Researchers recently discovered that choline is essential for preventing weight gain, and if you ate or used to eat plenty of unhealthy fat, it can protect your liver from fatty liver disease. 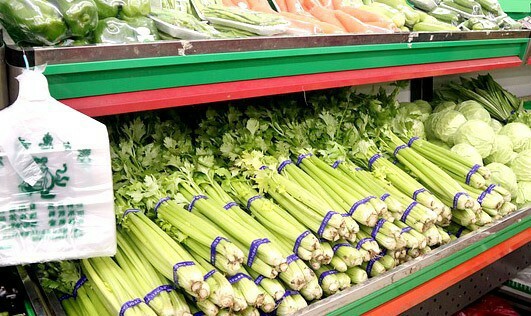 Celery is also composed of a huge amount of water and fiber, two useful ingredients discussed in previous sections. I'm usually good with a single stem of Celery and its leaves. More than that might give a too overpowering taste to the smoothie. A true workhorse, a chicory leaf can perform several of the weight loss functions of which we have already spoken. High in fiber, magnesium, calcium, potassium, and zinc, scientists think that it can suppress appetite to keep your over-enthusiastic eating behavior in check. It can also combat the inflammation that interferes with your hormones' proper fat regulation operations, and promote your liver's removal of cholestero﻿l and fat from your body. It is also a mild laxative if you feel bloated and want to clean your digestive tract. As this is one green vegetable that loses almost all of its bitterness when it is cooked for one minute in salt water, you can easily do this it make it more appetizing for yourself. Also called broccoli raab, this vegetable provides an abundant supply of vitamin B1. This is the vitamin that converts the carbs you eat into energy. If they cannot be converted to energy, they will all be stored as fat. Unsurprisingly, then, almost 30 percent of people who are so obese that they need bariatric surgery have been found to be vitamin B1 deficient. Other green vegetables like watercress, asparagus, and okra can also save you from this fate. Blend it with any other green vegetable but arugula, endive, watercress, dandelion greens, or others you think taste too strong. People who are seriously obese or need surgery have something else in common: they are seriously deficient in antioxidants like vitamins A and E. Mustard greens are relatively high on both. Alternatively, you can get your vitamin A from broccoli, lettuce, or kale, and your vitamin E from cilantro (coriander) leaves, spinach, Swiss chard, or chicory. Mustard greens are pungent and, with a name like that, they suitably taste like mustard. Most people like them with sweet fruit, but if you like the mustard taste, simply add milk green vegetables like spinach and beet greens and enjoy it. This list proves again that healthy, nutritious foods are the very best additions to your weight loss program. 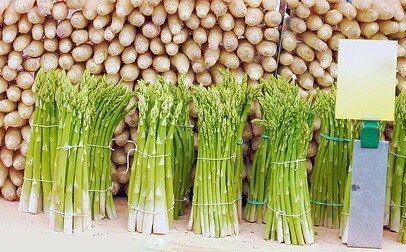 Nothing carries as many nutrients as green vegetables. Certainly no weight loss supplement can claim to have all these benefits, without any side effects… other than a delicious taste of smoothie in your mouth. I hope you enjoyed the list and found it helpful. If you did, please share it and also tell us what you think in the comments section below. Health benefits of green vegetables explained. Discover how to look and feel great by eating vegetables in their most delicious form - inside smoothies. I never knew there were so many types of green veggies! Some of these are totally new to me but I definitely need to check them out and see if I can get hold of some of them to use in my smoothies 🙂 Thanks for introducing me to them! Depends on where you are, but it ranges from ordinary supermarkets to organic and health food stores and chains. With these 10 secret smoothie recipes!